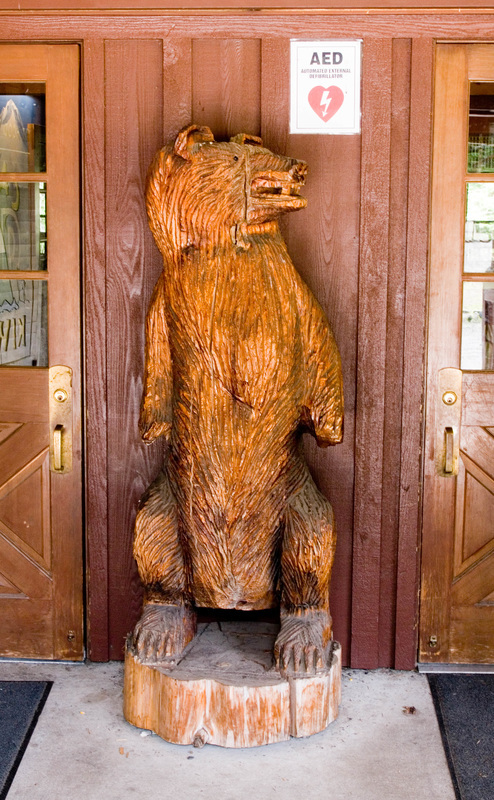 ​The dining hall at Kiwanis is centrally located, with the cabin buildings close by. Trails and unpaved roads access most field study areas. Students and parent chaperones eat family style in the spacious dining hall, seated with their cabin mates. Hot, varied, and nutritious meals are prepared by our professional kitchen staff. 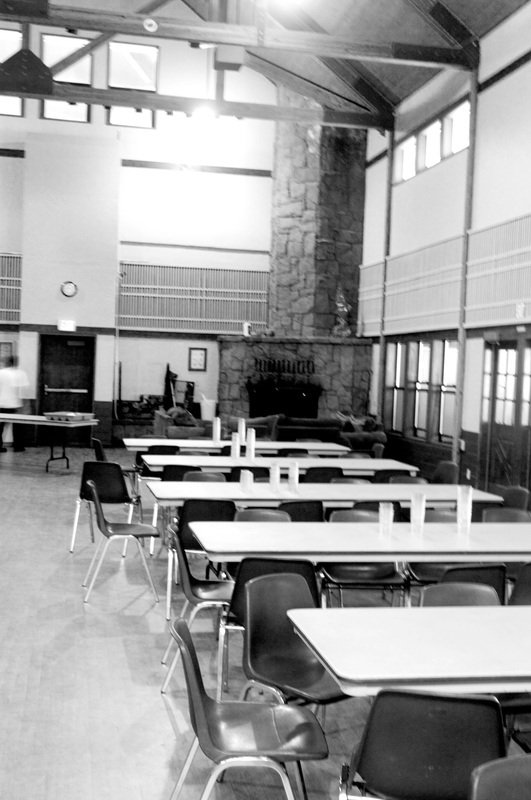 The dining hall serves as a central hub of activity throughout the day. The Kiwanis Oregon Trail office is located inside the dining hall. There are two separate heated cabin buildings at Kiwanis. 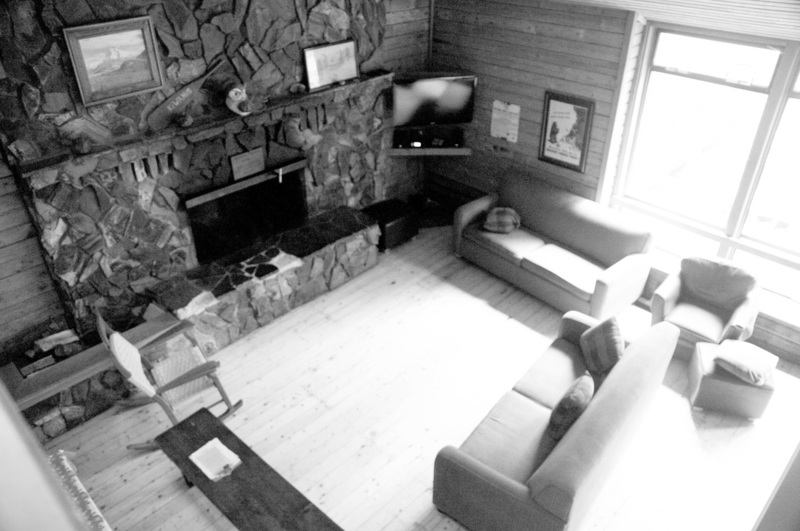 Cy Lodge features a central great room with a fireplace, and the sleeping quarters are divided into several small bunk rooms. 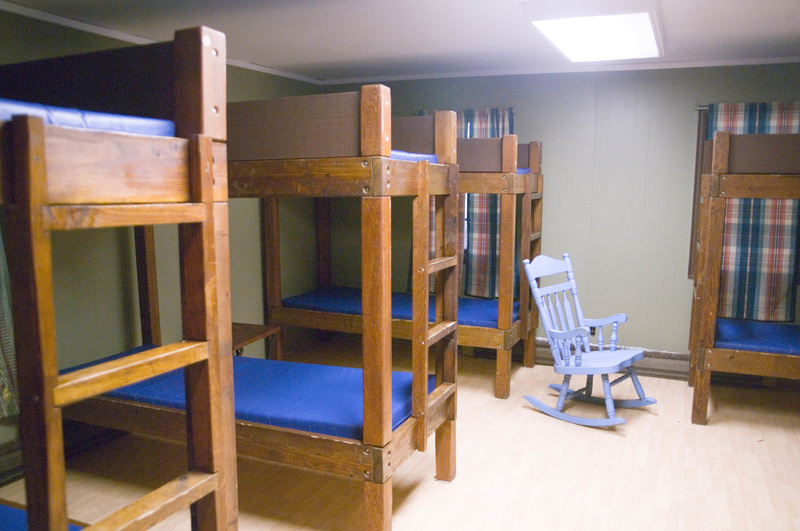 Each parent chaperone or pair of parent chaperones supervises several small bunk rooms in Cy Lodge. 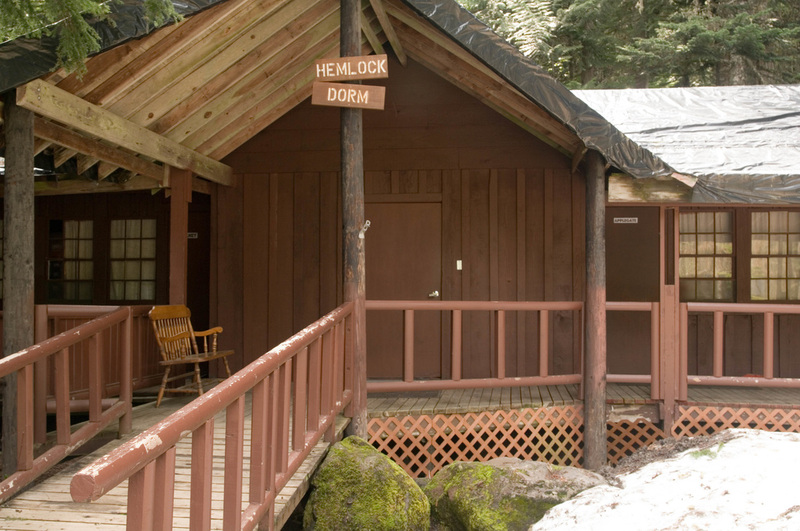 Hemlock Lodge is arranged in a long row of larger bunk rooms. 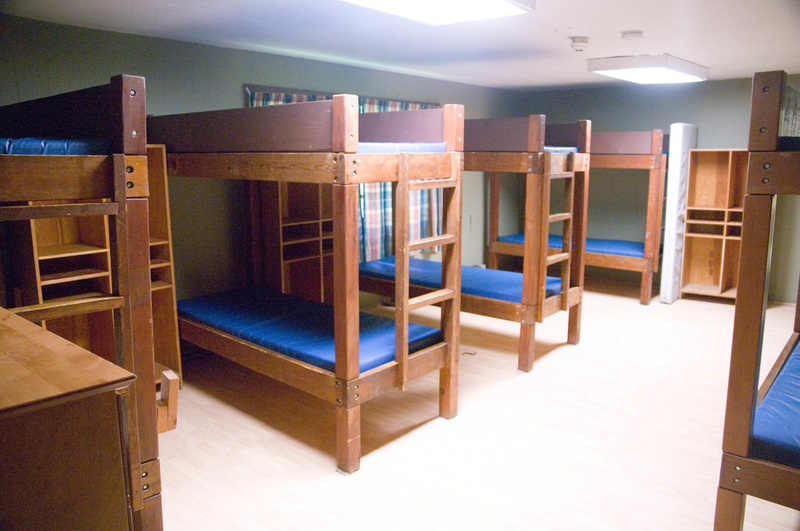 Each parent chaperone or pair of parent chaperones supervises one large bunk room in Hemlock Lodge. 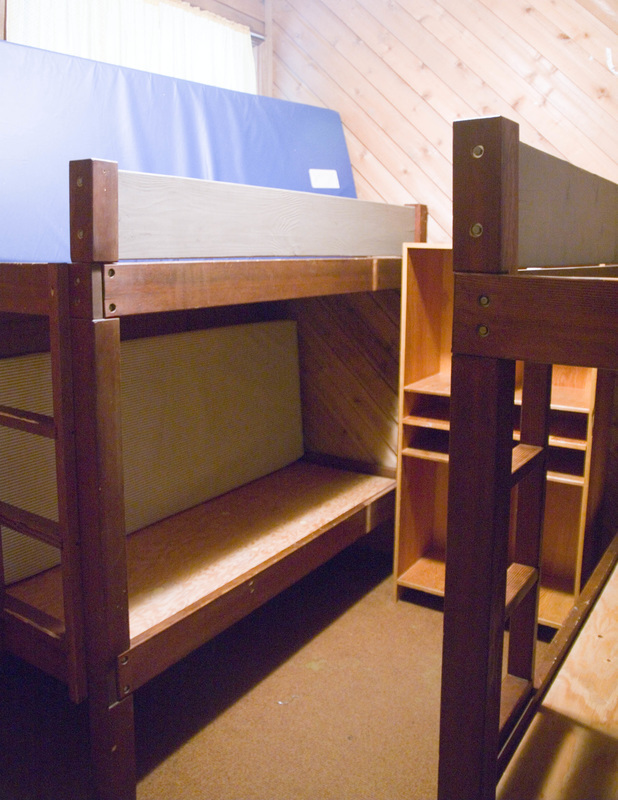 All participants and chaperones sleep on bunk beds with mattresses. Students and chaperones should bring a sleeping bag (or blankets) and pillow for their stay. 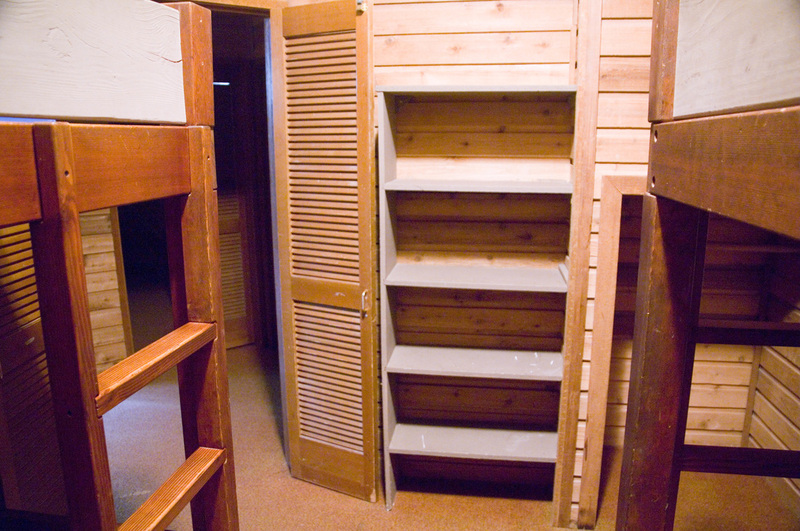 Restrooms are located inside the cabin buildings, and contain private stalls for toilets and showers. 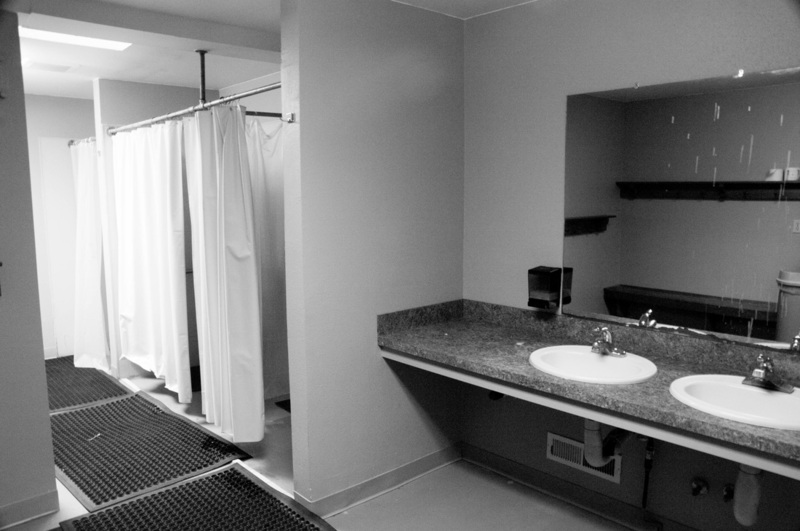 In addition to the cabin restrooms, the Kiwanis site features restrooms inside the dining hall building. 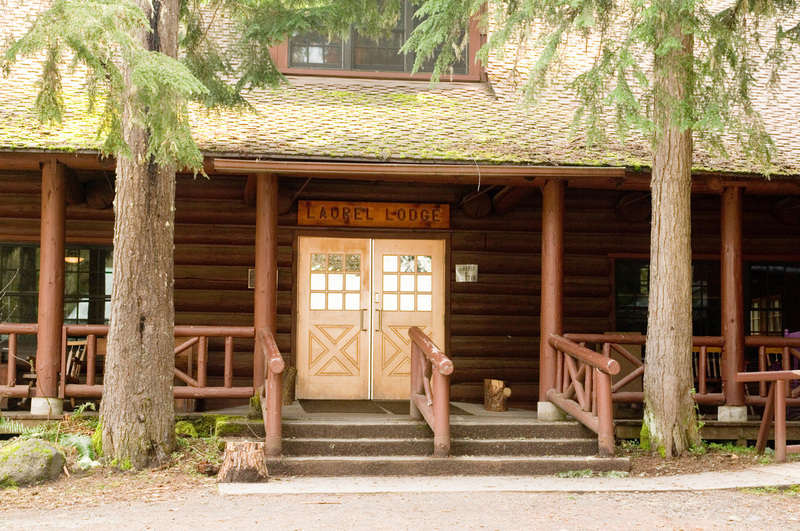 ​Laurel Lodge, adjacent to Hemlock Lodge is the central facility with restrooms that are single-occupancy so can be gender-neutral. It is easily accessible to all students. For changing options, there are multiple restrooms in almost all buildings for a private place to change. Parent chaperones are with the students and can pretty easily help students to a private location. Weather permitting, the entire Kiwanis Oregon Trail community gathers in the evening for a campfire program at the outdoor campfire facility. Class groups, Student Leaders, and staff perform skits and enjoy songs, and it is many students' favorite part of Oregon Trail. During inclement weather, campfire programs take place in Laurel Lodge, adjacent to Hemlock Lodge. ​Field study, when students learn a variety of pioneer skills and take part in living history, occurs throughout the site. The Kiwanis site is located along a tributary to the Zig Zag River, and features lush forests and and a quaint duck pond. Photos of some of the equipment and specimens used on field study can be found on the Artifacts & Activities page.